If you want to eat healthy, then you definitely want to eat many fruits and vegetables. Many types of plants are packed with fibers, proteins, antioxidants, and other important nutrients. However, you might actually be throwing out the most nutritious part of the plant. Most of the stems, leaves, and skins of many of the fruits and vegetables that you love to are nutritious, edible, and sometimes even delicious. Beetroots are usually eaten boiled, roasted, or raw, but you usually only focus on the purple part of the foot. However, beetroots have a leafy part of the plant on top that you can actually eat. You probably do not want to throw it out because these leaves are full of calcium, iron, and vitamins. One leaf probably has more nutrients than the average leaf of spinach. They may not taste as good as spinach, but you can add some garlic, olive oil, or other seasonings to make it into something that is actually edible. You definitely do not want to choose dead and limp looking leaves for your meal, but if you find fresh looking leaves, then it can be incredibly nutritious. If you boil it or steam it, then the texture will be extremely similar to the texture of spinach. Fresh broccoli and cauliflower often come on stems. Sometimes, these stems have a couple of leaves attached to it. You may want to throw out the stems, but they are packed with antioxidants and other crucial nutrients. They also taste way better than you might expect. Broccoli may not contain as many nutrients as the rest of the vegetable, but they are still definitely worth eating. They make a great soup or salad ingredient. Essentially, broccoli and cauliflower are part of the cabbage family, which contains many of the healthiest foods, so you do not want to waste a bit of it. 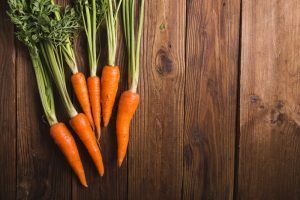 Carrot tops may not look edible, but they do have way more vitamins than the actual carrot root. In fact, they have about six times the amount of vitamin A as the orange part of the vegetable root. They can be used as a pesto ingredient if you mix them in a food processor with some oil, cheese, and nuts. You can also put them in a salad or stir fry with the right type of seasoning. Some evidence suggests that carrot tops can have chemicals that your body responds poorly too. These chemicals are not toxic, but you may allergic to them, so you definitely want to make sure you do not have an allergic reaction from eating carrot tops. When eating a watermelon, nobody wants to eat it all the way down to the rind. However, the rind is definitely edible and it contains an amino acid that can be extremely beneficial for your arteries. It can dilate your blood vessels and make your arteries relax, which will reduce your high blood pressure. You may not be eager to try to eat the rind because it does not taste great, but you can pickle it with vinegar and salt for a nice savory snack. Of course, savory might not go so well with the sweet and juicy watermelon, so you might want to save the pickled rind for later. For some reason, people decided to start peeling the skin off of cucumbers. However, there is no good reason for it. The skin barely affects the taste of the cucumber and it contains way more nutrients than the rest of it. For example, it has lots of vitamin K, which you need to support healthy bones. If you do want to eat your cucumbers without the skin, then save the skin and put it in smoothies, soups, or salad. Just be sure to wash the cucumber well if you are keeping the skin because the skin sometimes has a layer of wax on it. 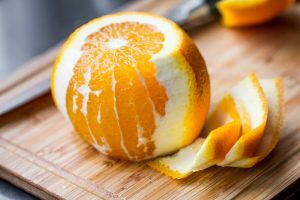 Oranges are definitely healthy for you without the peel, but you can definitely eat the peel and pith as well. The pith is packed with nutrients that can help your cholesterol, lower blood sugar, and prevent inflammation. The pith and peel also have many healthy fibers. You can get all the nutrients out of it if you are willing to eat the pith with the fruit. However, it can have a slightly bitter taste. If you do not like the bitterness, you can also use it as an ingredient is a variety of foods, including baked goods, chicken seasoning, or fish seasoning. The next time you have an onion, you should try to save the outer layer of it. The outer layer of an onion might be super satisfying to peel off, but you probably do not want to throw it all out in the garbage because it actually has many essential nutrients. For example, it has a relatively high amount of quercetin, which is a type of antioxidant that is especially good for managing your blood pressure if it is a little too high. The outer layer is definitely not the tastiest part of the onion, but it still can be used as extra flavoring in your soups or stews. The outer layer of leaves on your cabbage probably often end up in the trash can, but you there is no reason why you cannot eat these leaves. They are just as edible as the rest of the cabbage, even if the texture and thickness is slightly different. Additionally, they are packed with vitamins, including vitamins A, C, and B, which are good for your skin, blood, heart, lungs, brain, muscles, weight, digestive tract and more. Therefore, you should not be getting rid of these outer leaves. They are great as a soup ingredient and they are also a food vegetable to put in your stir fry for added flavor. 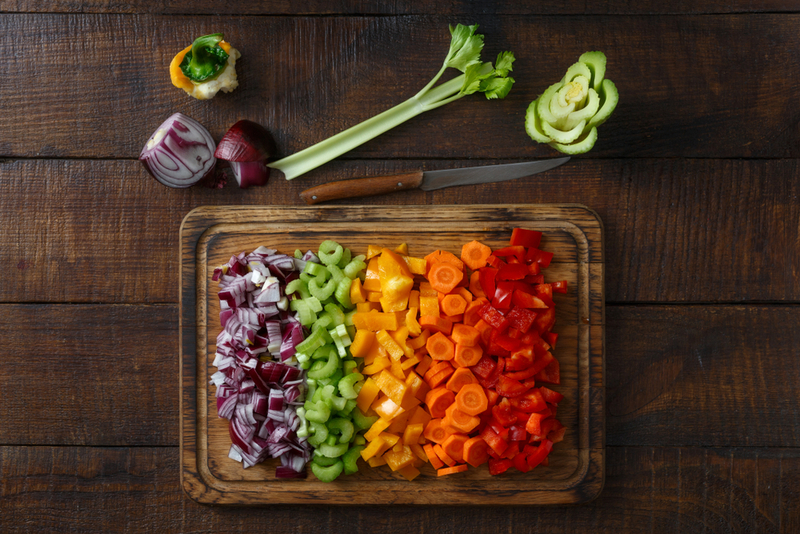 The next time you are eating fruits and vegetables, consider keeping some of the food scraps. After all, they can be a lot healthier than you think. You may not realize that they are edible, but they can taste very good in the right type of circumstances.